The Peter Mokaba Stadium is a soccer stadium in Polokwane (formerly Pietersburg), South Africa, that will be used for the FIFA World Cup 2010 South Africa. When completed in 2010 it will have a capacity of 46,000. It was named for Peter Mokaba, a former leader of the ANC Youth League. It is located 5 kilometers from the city centre and is located just east of the existing Pietersburg Stadium. 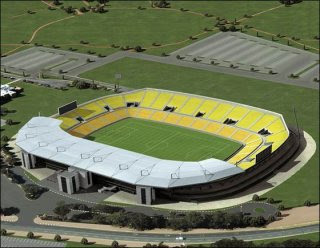 The stadium is one of five new stadiums that will be built for the 2010 FIFA World Cup. Initial plans to upgrade the current Peter Mokaba Stadium were abandoned in favour of the R1,245,000,000 (ZAR) new Peter Mokaba stadium.